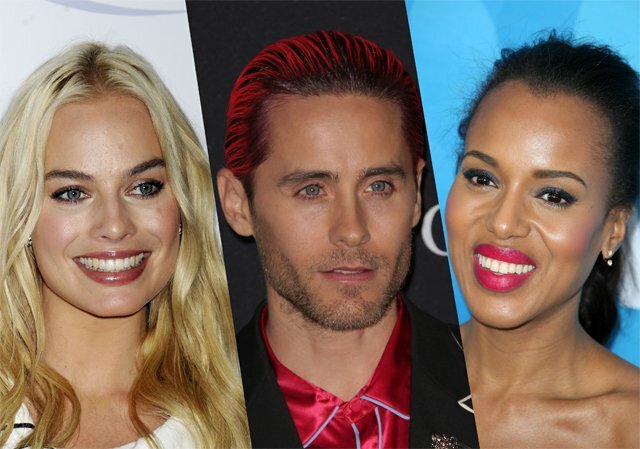 More Oscars Presenters Announced, Including Margot Robbie, Jared Leto & Kerry Washington. Oscars producers David Hill and Reginald Hudlin announced today the second slate of presenters for the 88th Oscars telecast. The Oscars, hosted by Chris Rock, will air live Oscar Sunday, February 28, on ABC. 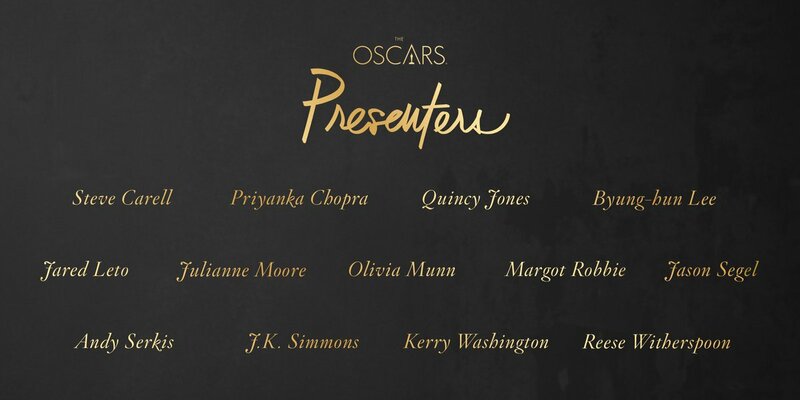 The presenters, including Oscar winners and nominees, are: Steve Carell, Priyanka Chopra, Quincy Jones, Byung-hun Lee, Jared Leto, Julianne Moore, Olivia Munn, Margot Robbie, Jason Segel, Andy Serkis, J.K. Simmons, Kerry Washington and Reese Witherspoon. They join previously-announced presenters and performers Benicio Del Toro, Tina Fey, Whoopi Goldberg, Ryan Gosling, Kevin Hart, Lady Gaga, Sam Smith, Charlize Theron, Jacob Tremblay, The Weeknd and Pharrell Williams. The 88th Oscars will be held on Sunday, February 28, at the Dolby Theatre at Hollywood & Highland Center in Hollywood, and will be televised live by the ABC Television Network at 7 p.m. ET/4 p.m. PT. The Oscar presentation also will be televised live in more than 225 countries and territories worldwide. Margot Robbie and Rob Gronkowski promote ‘Suicide Squad’ at the 2016 ESPY Awards. It is incredibly sad when one woman can open her mouth and bash an entire state. But then, one has to wonder whether a person of character or integrity would do this and at the end of the day, the answer is no. Congratulations for proving to a nation that you are truly shallow.